(2013/Umbrella) 94 tracks, b/w, 345 min., plays all regions, feat. the Bee Gees, Col Joye, Chubby Checker, Patsy Ann Noble and many more! The Australian Bandstand was hosted by Brian henderson - setting the standard for 14 entertaining years! The shows include some of the first ever performances by the Bee Gees, a tribute to Broadway and film musicals 'The Music Man' and 'West Side Story', a special Surfside Show, the 1963 chrristmas show and a lot more! 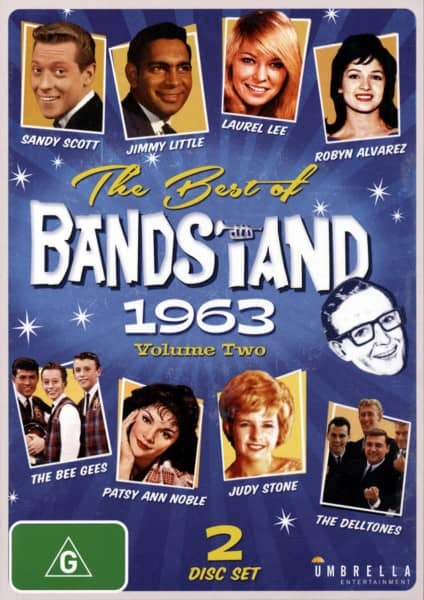 Kundenbewertungen für "The Best Of Bandstand, Vol.2 1963 (2-DVD) (0)"